Microsoft chief executive officer Steve Ballmer has hinted to the BBC that he will formally support PC use of the Kinect motion controller in the near future, saying Microsoft "will support that in a formal way in the right time". He also discusses the influx of apps and the resurgence of Apple. 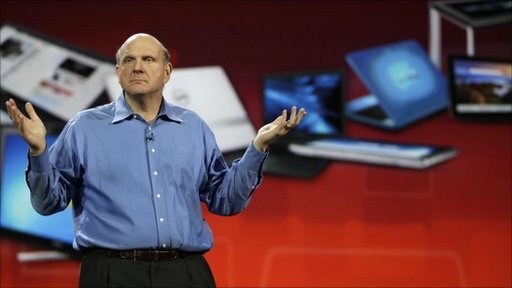 Ballmer says that "Apple's business is Apple's business" but says that the largest app eco-system in the world still belongs to the PC. He made his comments at the Consumer Electronics Show (CES) in Las Vegas. Which tablet is the best on the market?